Sarli – Spectral Application Research Laboratory Inc.
Spectral Application Research Laboratory Inc. In very near future the Spectroscopic analysis can be more visible and a user friendly. Currently the spectroscopic measurements are shown with the spectrum curve. The measurement will be seen by the commonly used devices like a digital camera. This is our expectation. The techniques involved for those developments are called “Hyper Spectral Imaging”. The measurement device to press forward those development is “Hyper Spectral Imaging System or the Spectroscopic camera”. SARLI focuses on research and development of the measurement device and the application systems. 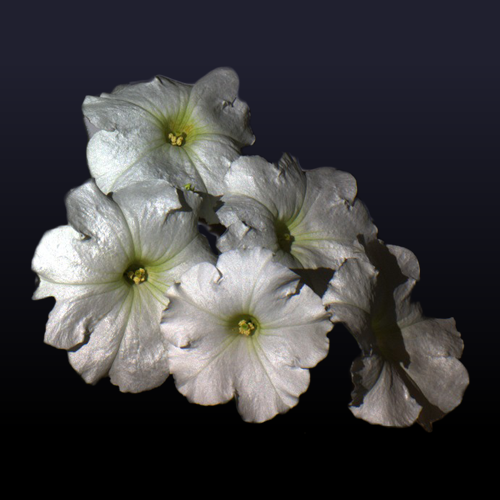 Visible range (white Petunia): white petals are shown with the visible range. Range includes ultraviolet range (white Petunia): Red lines are shown, which were not visible in the visible range. aGlobe Co., Ltd ©2016.. All Rights Are Reserved.